Addressed to those from his wife to his assistant, the letters reflect the physicist’s mindset before, during and after the Holocaust. Albert Einstein in 1947. Credit: Orren Jack Turner via Wikimedia Commons. 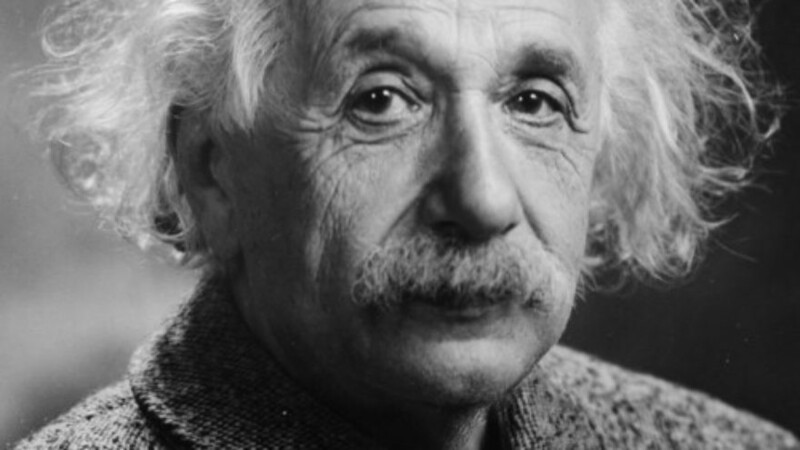 (March 28, 2019 / JNS) Several letters written by Albert Einstein, including one that calls out “Hitler-insanity,” are up for a one-day auction on Thursday until 8 p.m., Eastern Daylight Time. Addressed to different subjects, from his wife to his assistant, the letters reflect the physicist’s mindset before, during and after the Holocaust. In a letter to his sister, Maja Winteler-Einstein, in 1921, eight years before Hitler rose to power, he writes that he was going to travel to Munich, but decided not to “because this would endanger my life right now.” It reflected how anti-Semitism became virulent in the German city, a spokesperson for the auction house Nate D. Sanders told CNN. In a 1934 letter to his first wife, Mileva Marić, Einstein wrote that Hitler’s control of Germany “has completely ruined the lives of all those around me.” The world-renowned scientist instructs her to give their son Eduard, who was diagnosed with schizophrenia, a “chemical intervention” to help him. Einstein survived the Holocaust, which killed at least 6 million Jews in Europe and its environs out of 11 million overall, by being in the United States, where he taught at Princeton University, in addition to playing a role in the U.S. development of the atomic bomb, which it dropped in 1945 over Hiroshima and Nagasaki, both in Japan, thereby ending the war. He became a U.S. citizen in 1940. The minimum bid on the items range from $2,000 to $30,000. Currently, only one bid has been placed on any of the items.